Real Photo showing a pleasure boat. 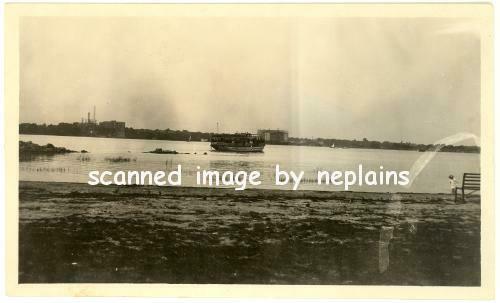 Photo isn't labeled, but appears to be a view looking over the Detroit River with the city of Detroit in the distance. Also, photo is not dated, but was found with other photos of this location that are hand-dated "July 4 '22". Sharp edges and barely noticeable corner tip wear. The white streak at the lower right is part of the original photo processing.